Yesterday, I responded to Josh Malina on Twitter. Those who watched The West Wing may remember that my character, Will Bailey, played a minor role in brokering Israeli-Palestinian peace. The West Wing, alas, is a fictional universe. Here in the real one, our president — unlike Jed Bartlet — is not a Nobel Prize-winning scholar with an unfailing moral compass and an exceptional command of statecraft — or even someone who, you know, reads books. Nor has our president helped achieve the dream of Israeli-Palestinian peace. 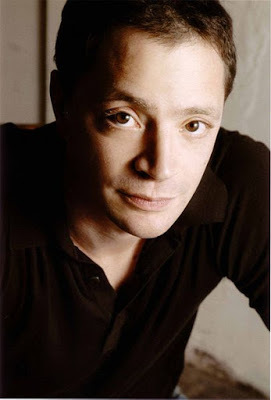 Disappointed to see @JoshMalina supporting @jstreetdotorg. A number of people then joined in, responding to Malina. Malina did respond to a couple of points I tweeted. But that was not my question. The question I asked was whether J Street had come out recently in defense of Israel during the riots. Contrary to the narrative the media readily propagates, not all those involved are in fact peaceful, unarmed protesters. Instead, many are rioting and attempting — and in some cases succeeding — in infiltrating into Israel. It would be nice to have help pointing that out on social media. J Street’s two-paragraph condemnation of “incendiary’ comments by Abbas is irrelevant to the point. 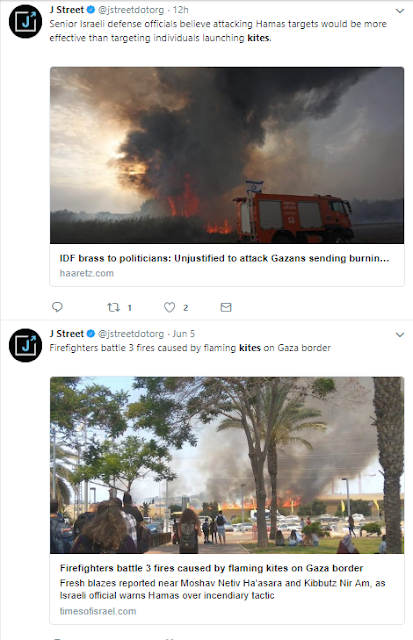 Fair enough, but you do see the irony if @jstreetdotorg condemns “incendiary” remarks but fails to condemn the “incendiary” kites. I believe they tweeted – and I RT-ed – about terror kites. I am trying to confirm that for you. They are tools of terror and should be called out as such. I have certainly tweeted about them. He has not yet gotten back to me. I’m not sure he will. Both Tweets are informative — but that’s all, and who needs J Street for that? Maybe J Street is just too busy. After all, besides piling up on Trump over the issue of the treatment of immigrant families J Street has been occupied with attacking Ambassador David Friedman. From the beginning, J Street has attacked Trump, accusing him of racism and white supremacism, blaming him for an alleged increase in Antisemitism in the US and of causing instability both in the US and in the Middle East. 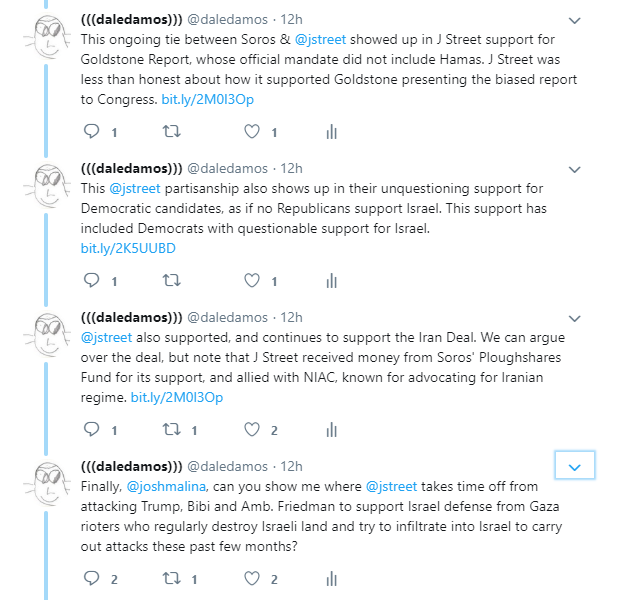 Similarly, J Street has painted David Friedman as unfit to be the US ambassador to Israel and last month J Street claimed he should be investigated. And of course, we all know how J Street feels about Netanyahu. But does that leave any time for actually advocating for Israel? While there are reports of a small number of Palestinians attempting to breach the fence or otherwise attack Israeli soldiers, the vast majority of those who have gathered appear to be exercising their legitimate and important right to engage in nonviolent protest. Good to know that the people at J Street read The New York Times. But other than attempting to impose their view of a peace plan on Israel, do the members of J Street in the US actually see themselves as standing up for and defending Israel from the libels and slanders that come at it from all quarters? J Street does not call itself “The Home for Pro-Israel, Pro-Peace Americans” — it calls itself “The Political Home for Pro-Israel, Pro-Peace Americans,” which is why nothing they say about Abbas, Hamas and the enemies of Israel ever come remotely close to J Street’s ongoing over-the-top attacks on President Trump, David Friedman and Netanyahu.